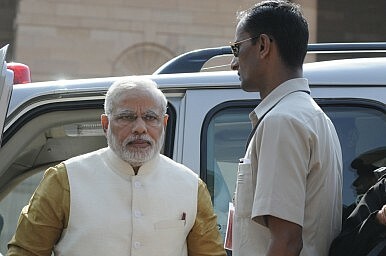 India is seeking to minimize its exposure to Iraq while improving its economic situation at home. Despite attempts to move the country towards normalcy after the fall of Saddam Hussein, Iraq has suddenly become a breeding ground for jihadists. An al Qaeda offshoot known as the Islamic State in Iraq and the Levant (ISIS) has shown particular brutality and poses a significant threat to the region. A large number of Indians have been caught up in the crisis, including more than 40 nurses from Kerala, as well as workers from the north Indian states of Haryana and Punjab. Apart from the safety of these workers, there are a number of other ramifications for India. These include the impact on crude oil prices, the Indian currency, growth rates and the nature of reforms that the government has planned for the upcoming budget. In addition, India must walk a fine line and avoid being seen taking sides, since publically it has never taken a stance on the division between Shia and Sunni. The Indian government foresees the global crude oil price rising to as high as $120 per barrel, with a potential impact on the Indian budget of at least Rs. 200 billion ($3-4 billion). The Indian crude oil basket price rose to $111.25 per barrel on June 18, more than the average price for this year, according to government estimates. The rupee, which was already under inflationary pressure, weakened further to Rs. 60.55 per dollar, whereas on June 18 Indian stocks fell more than 1 percent, on fears concerning the impact of the Iraq crisis. Iraq has therefore put Prime Minister Narendra Modi’s government to its first test, not only with respect to foreign policy by also bringing Indians home safely (including those trapped in Mosul, Baghdad, and other cities). It also challenges this government to meet the expectation of various stakeholders, including the public, while presenting its first budget next month. The Modi government has to be careful, not only to check inflationary fears due to the impact of the rising global crude oil price, but also in phasing out subsidies for petroleum products, including domestic LPG cylinders. It is now expected that the government is willing to reset some measures which it had planned earlier, including limiting the scope of tax incentives. His confidence is largely based on three factors: First, India is riding high with foreign institutional investors, which has set a positive tone for market sentiment. With the stabilizing rupee, $7.7 billion in foreign investment has already poured into domestic bonds, yielding returns of 8.5 percent, higher than many other emerging and developed economies. Second, the current account deficit, which was extremely high at $21.8 billion in June 2013, had fallen sharply to $4.1 billion by December. Third, India’s foreign exchange reserves have increased from $275 billion in August 2013 to $312 billion for the week ending June 6. Moreover, Iraq’s oil sector, which is the second largest exporter in the Organization of Petroleum Exporting Countries (OPEC) and which ships about 25 million tonnes of oil to India, is largely seen as unaffected by the fighting. As the conflict is still dispersed around northern Iraq, 90 percent of total oil production from Iraq is unaffected. This oil is in the Shia-dominated south, which supports the government’s fight against ISIS. India has already geared up to import crude from other OPEC countries including Saudi Arabia, Kuwait, the UAE and Qatar; the majority of which have spare capacity. Therefore, despite Barclays estimates that a $10 per barrel rise in the price of crude oil would result in India’s growth falling half a percentage point, the scenario still seems to be controllable at present. Modi’s government appears prepared to deal with both its foreign policy challenges and domestic situation, including the potential for Iraq to trigger inflationary pressure. The government has initiated all possible diplomatic means to rescue its trapped citizens, and is also ready to put the economy back on track through much needed reforms. Modi’s government would rather focus on fixing its energy pricing dilemma, particularly gas pricing, while kickstarting the economy through needed reforms, in an effort to make India an attractive investment destination for other countries, characterized by a favorable business environment and a level playing field for investors. Despite all these possibilities, and given the trajectory of events in Iraq, the situation should also remind New Delhi of the 2003 Iraq War, which compelled the then NDA government to consider diversifying its crude imports from the Middle East, a region known for its instability. At the time, the government first thought of creating Strategic Petroleum Reserves (SPR), aligning with the guidelines of International Energy Agency (IEA). Yet even after a decade of UPA rule, India has continued to struggle with building its first SPR, and costs of the projects are rising. Besides measures the present government might take to deal with the Iraq crisis, speeding up the creation of the SPR should work as a long-term, sustainable solution, particularly when unforeseen circumstances cause supply disruptions. This scenario has been ignored by many analysts, and though it seems remote in the present case of Iraq, it should be considered in hindsight. The SPR concept should be revisited. The government may well be able to deal with the Iraq situation (assuming that it does not deteriorate further), which might create some scope to push reforms through in the upcoming budget. But it should also be prepared for the worst-case scenario. This preparation will involve domestic policies as well, particularly with respect to reforms. The Middle East in general and Iraq in particular have faced numerous upheavals due in part to the myopic policy of successive Western powers, and the turmoil is not likely to end soon. Therefore, India should be in a position to deal with the systemic changes taking place, and be prepared for unforeseen circumstances. Manish Vaid is a Junior Fellow with the Observer Research Foundation, New Delhi, with a research interest in energy policy and geopolitics. Tridivesh Singh Maini is associated with the Jindal School of International Affairs, Sonepat.